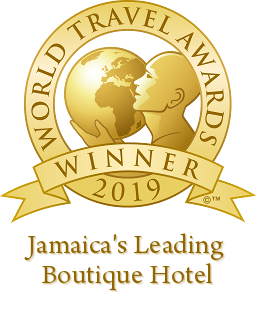 During your stay at Strawberry Hill Jamaica Luxury Hotel, if you have a question, please read the information below first or contact us directly at 1 (876) 944 8400 or 1 (876) 619 7872. –but look here first. Check in: 3:00pm Check out: 12:00pm Late check – out can be arranged as availability allows. Strawberry Hill has an entrance fee for persons visiting the property without a hotel, spa or restaurant reservation. The entrance fee is J$ 2,500 per person (children under 12 years J$ 1,000 each) and is payable at Front Office / Reception and valid from 8am to 6pm. The ticket entitles the holder to either a coffee, a soda, a beer or our signature Strawberry Bliss as well as to enjoy the beautiful gardens and magnificent views of the Blue Mountains and the city of Kingston. Or, should you be enticed to dine, have a spa treatment, or stay the night, you may use the full value of your tickets as a credit towards you bill. Please be advised the use of the pools and sun loungers is strictly for our resident hotel guests and outside food & beverages are not permitted on the property. The vibe at all Island Outpost resorts is relaxed yet sophisticated. While you will be comfortable in breezy Island casual attire and strolling the property in flip-flops and a sarong, dressing up for a special evening will never seem out of place. Jamaica is on U.S. Eastern Standard Time, but does not observe Daylight Savings Time. Therefore, during the summer, Jamaica is on U.S. Central Time. The exchange rate of Jamaica’s dollar, the JMD, is approximately 115 JMD to every U.S. dollar. Guests may also pay in U.S. dollars. Visitors from other countries may need to obtain a visa for travel to Jamaica. Click here to find out if your country requires one. Our local water is safe for all use. Bottled water is available. There are direct flights from Atlanta, Charlotte, Orlando, Baltimore / D.C. Metropolitan area, Chicago, Miami, Boston, Fort Lauderdale and New York. There are also direct flights from Toronto, Canada. There are more daily direct flights between The United Kingdom and Jamaica than any other European city. Charter flights can be found originating from Vienna, Salzburg, Brussels, Prague, Copenhagen, Paris, Dusseldorf, Frankfort, Munich, Berlin, Athens, Budapest, Milan, Rome, Amsterdam, Warsaw, Krakow, Gdansk, Lisbon, Porto, Madrid, Bilbao, Barcelona, Geneva, Basel, Zurich and Moscow.